Box 12043, 555 West Hastings St. The $49.99 Monthly WebsiteDynamics licensing fee will show up on your credit card statement as "WebsiteDynamics" – the official name of our website building technology. Our billing is completed internally and confidentially. Your billing information is not outsourced, and will never be sold or shared with anyone. If you are not a Certified reseller of the WebsiteDynamics technology, please go to your web builder and click on "Support" or log into your website and click on "Help & Support." 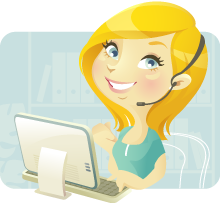 If you are a licensed reseller of the WebsiteDynamics technology, free online support is available 7 days a week. Log into your resellerdynamics.com site and click on the "Ask a Question to Support" link at the top of your pages. Responses are within 24 hours.